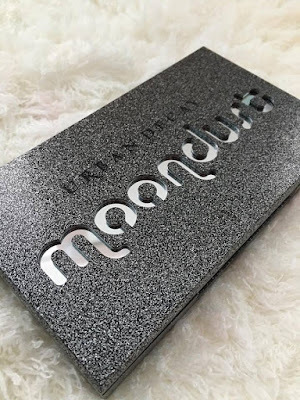 To say I have been excited for this palette’s release would be an understatement, but there is no other way to put it…..I am really disappointed! Urban Decay are famous for their eyeshadow palette’s. 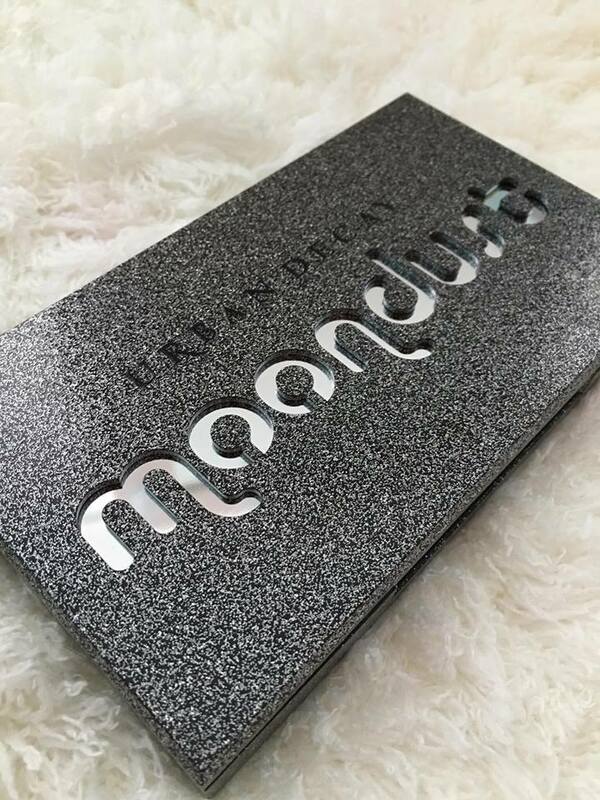 Their Naked palettes are a cult favourite and set a very high standard in both packaging and quality of the shadows. I obviously expected the same from this palette. From the outside the packaging looks good quality. 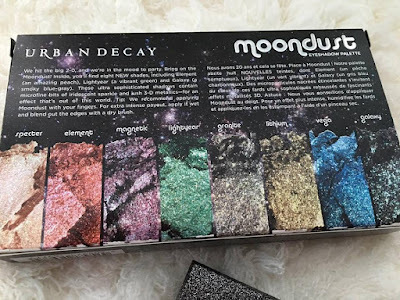 It is beautiful with a glittery Space theme but when you open it up it appears to be made out of cheap plastic and does not live up to the high standard we are used to from Urban Decay. It is very lightweight and has a large mirror which makes it brilliant for travelling so there are some positives. There are 8 new shadows inside that are all individually named. Specter – a pale pink. Element – an orangey copper. Lightyear – a vibrant green. Galaxy – a dark Teal blue. I don’t know if it is just me but the pan sizes of the shadows appear to be quite small. 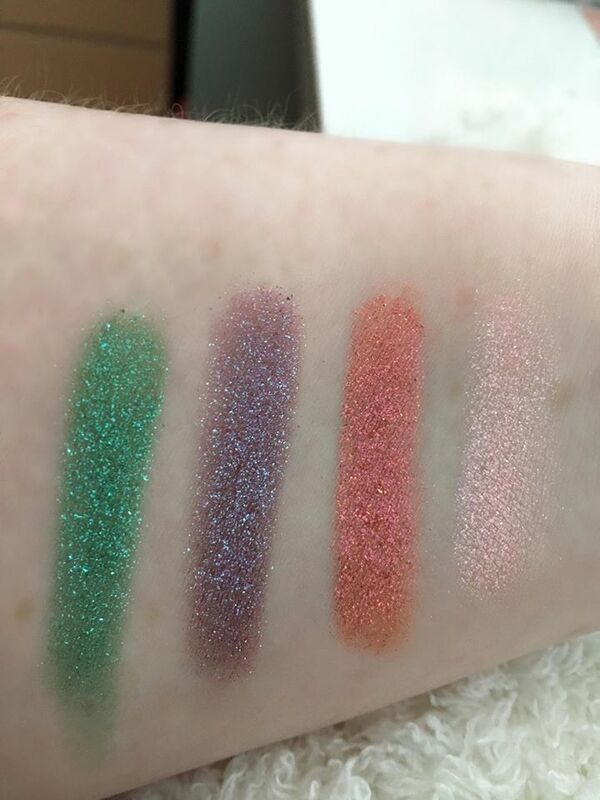 I have compared them to the ones in the Urban Decay Electric palette and they definitely seem smaller. I'm sure if I done my homework I could easily find out the answer but let’s face it I’m not going to waste my child free time doing that lolz. The shadows themselves are a hit and a miss. 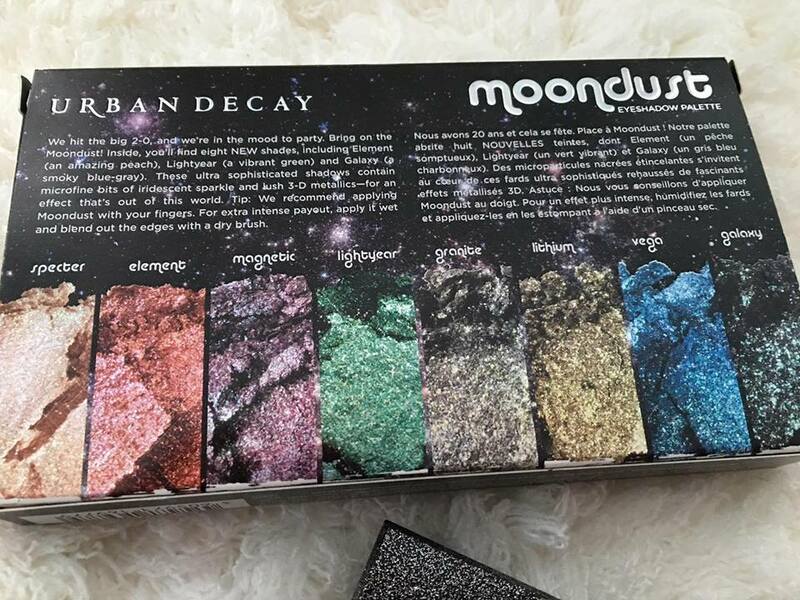 All of them have what seems like chunks of glitter in them but the glitter doesn’t appear to be evenly spread throughout the shadow. One swatch you get large chunks of glitter and no pigmentation in the shadow and on another swatch get a better colour payoff from shadow but less glitter? I started off swatching with the intention of taking photographs after one layer each, but most shadows were barely visible in person never mind on camera. 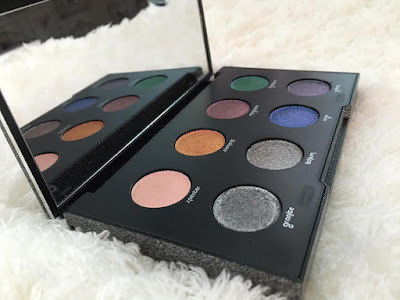 As I continued I found the eyeshadows to be very patchy especially the brighter shades. I found that you needed at least 4 layers of product before the shadows looked even. There was also considerable fallout from the shadows Granite, Lithium and Galaxy. You expect this from glittery shadows but with these ones it’s as if more product falls away than actually sticks to lid. I also strongly recommend using a good eyeshadow primer with these shadows as the brighter colour's will stain your lid otherwise. 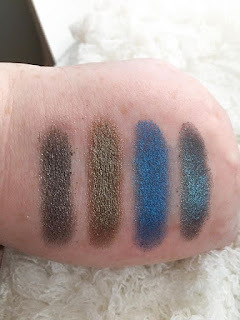 I will say in Urban Decay’s defence, they do recommend using the shadows with your fingers and also to wet them to increase intensity which would solve or at least help the mentioned problems. One thing I just do not understand about this palette is why no silver? On the box Granite looks quite silvery but on swatching there is more black in there than silver. 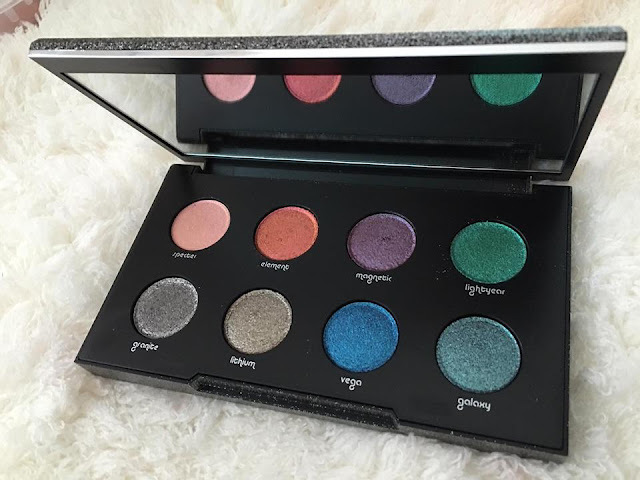 I just do not understand in a space themed palette that is loaded with shimmer and glitter why silver wouldn’t be an obvious choice. Although the shade lithium is beautiful and one of my favourites as it is so wearable it sticks out like a sore thumb. In my opinion a silver shade would have fitted beautifully with the theme and could have been mixed with the other shades. Overall, I am really disappointed with this palette. I intent to keep using it to find ways to make the shadows work. I am yet to actually work with them wet but after seeing Samantha Ravndahl’s tutorial today I am hopeful they will be a lot more pigmented and easier to work with when wet. 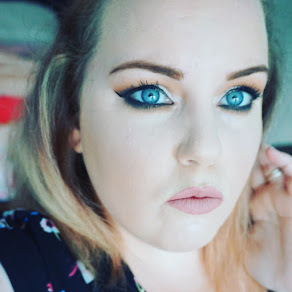 I do not suggest buying it if you are new to makeup. In fact, I strongly suggest you don’t as the shadows are not easy to work with. 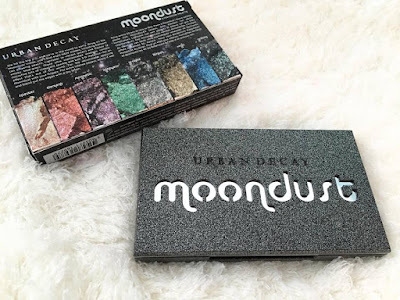 If you are a makeup enthusiast, I would suggest going to your local Urban Decay counter (You can find yours Here) to swatch the shadows before purchasing. The Moondust Palette is £35 and is available from www.urbandecay.co.uk now.